Carbon fiber 3D printing is very much in vogue in the manufacturing arena, and it’s not difficult to understand why. This engineering-grade thermoplastic is incredibly light but tough, giving unparalleled strength for dependable functional prototyping, end-use parts and rugged tooling, often replacing low-volume metal parts. Those traits make it a popular choice for UAV components and tooling in aerospace, for example, as well as for bumpers, fixtures and brackets in automotive and transportation, in addition to sporting goods and general manufacturing aids. However, potential investors in carbon fiber additive manufacturing technology should proceed with caution. To borrow and slightly revise a famous quote from renowned English novelist George Orwell, though all carbon fibers should be equal, some are more equal than others. Put simply, quality is everything when it comes to the 3D-printing process – and some machine suppliers simply cannot deliver what they profess to be able to in terms of production speed, part strength and reliability. If you’re serious about harnessing the true power of carbon fiber for your business, there’s really only one place you should be looking. SYS Systems has been a Stratasys platinum partner in the UK and Ireland for more than a decade, specialising exclusively in supplying and servicing the full Stratasys product range. 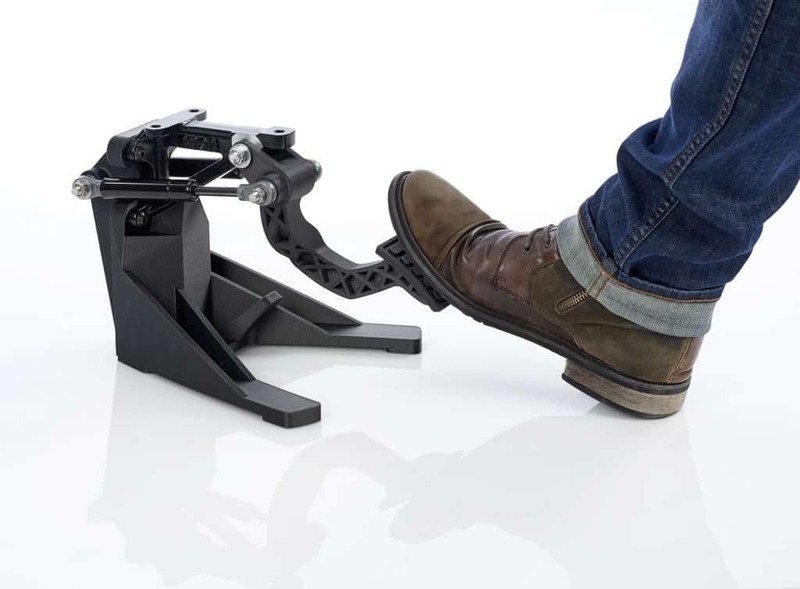 Its new Fortus 380mc Carbon Fiber edition is the culmination of 30 years of industry experience for Stratasys, which invented the Fused Deposition Modelling (FDM) technology employed by the machine back in 1989 and in doing so began a revolution. Without the cost normally associated with a high-end printer, the Fortus 380 guarantees accurate, reliable, optimum-strength parts using ASA and FDM Nylon 12 Carbon Fiber, a material boasting the highest stiffness-to-weight ratio of any of our FDM options. Part of the Fortus range, which is certified for producing end-use parts, it can create precise, repeatable models faster than ever before, utilising the high-performance thermoplastics used in traditional manufacturing processes. But unlike some of its competitors, the Fortus 380mc Carbon Fiber edition can do exactly what it promises to, delivering results at a superior level. Its carbon fiber material contains 35 per cent chopped carbon fibres, compared with the 15 per cent figure of its nearest rival, and achieves 30 to 50 per cent higher density on finished parts. In terms of printing speed, the Fortus 380 is four to five times faster than anything else out there using carbon fiber – but that does not come at the expense of quality. An easily soluble support system allows users to create more complex geometries, with the support material adhering to the build tray. It’s a far more reliable method than gluing parts to the bed, which can lead to peeling and movement. All production parts need to be built in the controlled environment that a heated build chamber provides – a feature that comes as standard with the Fortus 380, but not with other machines. Failure to control the build environment results in uncontrollable shrinkage rates, meaning an end part cannot be validated for use. 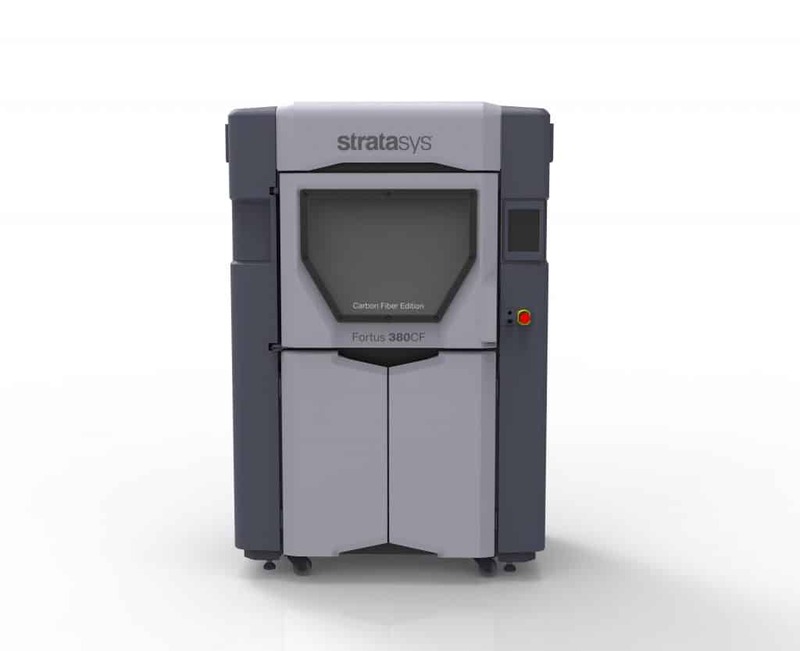 With no additional hidden software bills, lower-cost replacement materials and an unrivalled level of aftercare and service, the total price of ownership of a Stratasys machine is the most economical in the marketplace. The experienced SYS Systems team is committed to delivering real, made-to-measure and long-lasting results for businesses of all shapes and sizes, ensuring superior performance for years to come. As we often say, it’s no longer a question of if our 3D-printing technologies could improve the way you work – it’s a question of by how much.